Arc Architects are an award winning practice specialising in new ecological architecture, research and conservation of historic buildings. Our approach to design is inspired by vernacular traditions and the potential for modern architecture to create beautiful, well lit spaces. 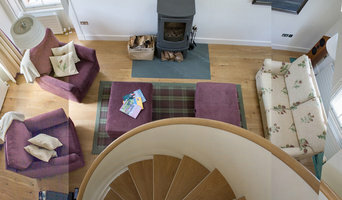 Andrew and Jane Burridge's careers began in respected London practices before relocating to Edinburgh in the mid 90s. Andrew then established his own studio and in the early days designed a series of exquisitely detailed small projects. He has a natural affinity with materials and this interest in detail is brought to all projects regardless of scale. Jane set up Bennetts Associates Edinburgh office and for 11 years worked on large scale commercial, education and hotel projects before joining Andrew in 2006 to form a+j burridge. Their belief in the value of good design is the reason they are architects. Whilst intelligent design can optimise the operation of an organisation, beautiful design can uplift and give pleasure to all the building users. 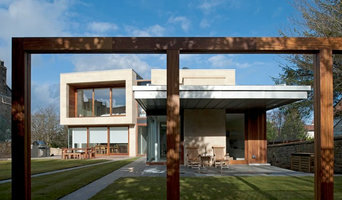 In April 2012 a+j burridge merged with Sinclair Hay Sutherland to form SHS BURRIDGE Architects. The range of projects SHS BURRIDGE Architects are involved in is very diverse including education, healthcare, office and restaurant interiors, residential, special needs and agriculture projects. We enjoy working with clients long term so we make sure we understand their objectives and help them to fulfil these as smoothly as possible. As a small practice, the partners are directly involved in the running of projects. 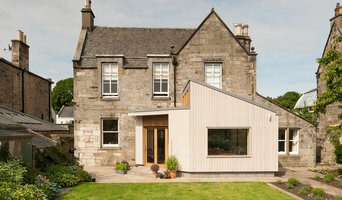 We are an award-winning professional architects practice located in the East Neuk of Fife and are proud to present an efficient and reliable architectural service. 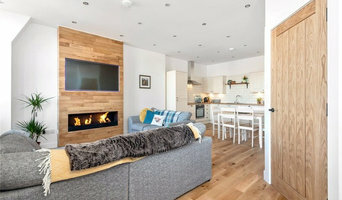 We provide unique design solutions for a wide range of residential and commercial projects such as new build houses, development sites, extensions, conversions and internal alterations. John Renshaw Architects is an architectural practice based in Edinburgh, which specialises in building conservation and sustainable design. Established in in 2009 Martin McMullen's experience ranges from Urban design and masterplanning, to the design of commercial office refurbishments, retail fit outs, artist studios and space planning, to residential alterations, extensions, attic/loft conversations, garage conversations, new build houses or as small as a new kitchen design. Building can be very complex and the construction and design of them even more daunting. With a myriad of legislation to contend with, the professional architect is best suited to advise clients. 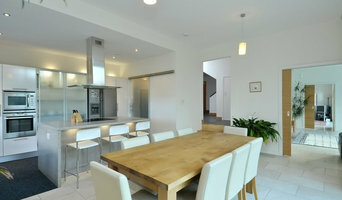 Martin McMullen Architects can provide design solutions with flair and imagination which satisfy requirements. Martin McMullen Architects is a small practice so you receive a personal design service from a professional with a wide range of experience. : ://./ : .@. .